For documents and information from this web site, Light-Heigel & Associates, Inc. does not warrant or assume any legal liability or responsibility for the accuracy, completeness, or usefulness of any information, apparatus, product, or process disclosed. International Code Council. Printed and digital copies of all building codes available for purchase at this website. Competitive pricing for purchase of codes is also available via most web based bookstores. 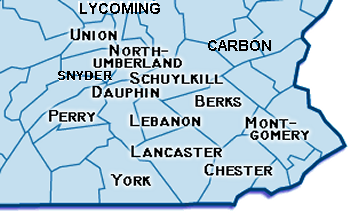 Pennsylvania Housing Resource/Research Center provides information concerning housing technologies, training and continuing education, and research. Copies of Pennsylvania�s Alternative Residential Energy Provisions can be purchased at this website also. PA One Call. Call before you dig! Federal Emergency Management Agency. Printed and digital floodplain maps are available through this website. U.S. Dept. of Energy. Free Energy software is available for download from this website. Pennsylvania Builders Association (PBA) is a nonprofit, statewide trade association. Underwriters Laboratories Design Criteria and approved certification standards used in the building industry. American Forest and Paper Association provides free span tables, wood member calculators, and Typical CAD Detail downloads. Users of this information shall be cautioned that it is your responsibility to ensure that information from this website conforms with current code requirements. American Society for Testing and Materials (ASTM) is a voluntary standards development organization. ASTM standards are referenced throughout the Building Code regulations and commonly used building products. Occupational Safety & Health Administration (OSHA) The mission of the Occupational Safety and Health Administration (OSHA) is to save lives, prevent injuries and protect the health of America's workers. To accomplish this, federal and state governments must work in partnership with the more than 100 million working men and women and their six and a half million employers who are covered by the Occupational Safety and Health Act of 1970.